Three Australian teachers received an early Christmas present this week when they were named in the top 50 finalists for the $US1 million Global Teacher Prize. The recognition of three Australian educators as among the best in the world follows a partnership struck this year between education charity Schools Plus, which co-presents the Commonwealth Bank Teaching Awards, and the Varkey Foundation, which runs the Global Teacher Prize. The three educators are Wilbur (Charlie) Klein, the principal at Tjuntjuntjara Remote Community School in WA, Dr Sarah Mathews, science and mathematics teacher at Brisbane Bayside College in Queensland and Eddie Woo, head mathematics teacher at Cherrybrook Technology High School in NSW. 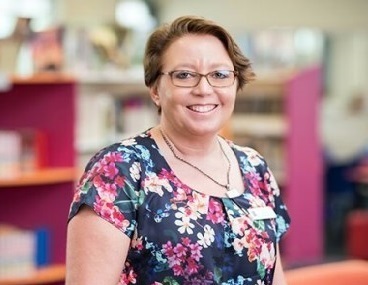 Dr Mathews, who turned to teaching after a 17-year career as a research scientist and became one of the first Master Teachers in Queensland, said she was honoured to be recognised in the top 50 finalists. “The journey I’ve been on as a Teaching Fellow with Schools Plus and the Commonwealth Bank has been inspiring and incredibly rewarding,” Dr Matthews said. Schools Plus CEO, Rosemary Conn, said the agreement between Schools Plus and the Varkey Foundation reflected the “outstanding quality” of Australia’s teachers and principals and the high regard in which the Commonwealth Bank Teaching Awards were held. “More than 30,000 teachers and school leaders from 173 countries were nominated or applied for the Global Teacher Prize this year, so to have our Teaching Fellows recognised as among the top educators in the world is incredibly exciting,” Conn said. Conn said the partnership between Schools Plus and the Varkey Foundation will “shine a spotlight” on the work that goes on in Australian schools every day, to transform the future for individual students and their communities. The 2018 Global Teacher Prize will be awarded in Dubai in March at the Global Education and Skills Forum. Representatives from Schools Plus, the Teaching Fellows and the Federal Department of Education will also be invited to participate.